Sekiu is well known as a recreational fishing destination. State Road 112 is a National Scenic Byway which runs from Port Angeles to Neah Bay. It is one of our nation's newer scenic byways. It's shoreline is a glacial fjord that connects Puget Sound to the Pacific Ocean. This is a beautiful 76 mile drive no matter what time of year with enough public parks to pull over for a picture or a picnic. There aren't many convenience stores or restaurants along this route. So, if you are heading west towards Cape Flattery you will want to fill your tank with fuel in Port Angeles as well as your cooler. While driving, I was surprised to see logging trucks going faster than I would be comfortable with - just a warning. 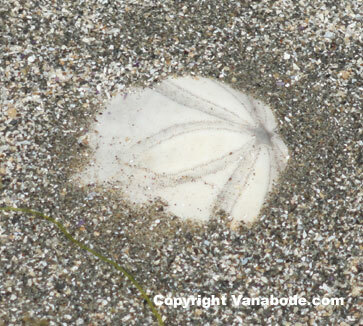 Clallam Bay along the Olympic Peninsula offers a great place to Vanabode cheaply as it is not crowded at all in the month of June. We spent time in one of the waterfront parks enjoying the atmosphere and marine life along the coastline. There were bathrooms, a walking trail and tables. One night we stayed in the parking lot of a retail shop. We did some chores and laundry at the one and only laundromat in town. It is a couple of streets over from the main road situated in a trailer park. We ate at a local restaurant overlooking the Straight. However, westward and beyond there is not much else as far as modern day conveniences go. 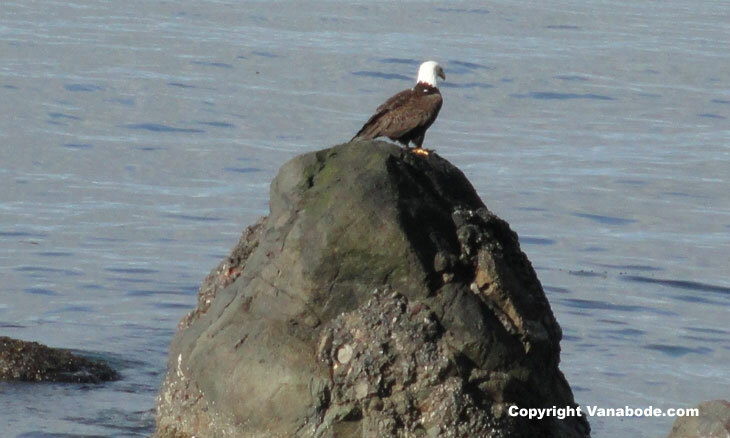 We enjoyed our time at Clallam Bay and thought it was a great base for working and relaxing. Above: The next night we paid $13 to stay on a fantastic beach front lot between Clallam Bay and Sekiu. We had the entire campground to ourselves. The campground sits below the highway so there is a little bit of a noise buffer from the passing cars and trucks. Jason got lucky, he found an Victorinox around a fire pit. It was very peaceful and private with the most fantastic view of Vancouver Island British Columbia across the Strait of Juan De Fuca; somebody in our Vanabode pronounces this funny. Neah Bay is the epicenter of the Makah Nation. The local economy is sustained mostly by fishing and tourism with a number of eco-tour outfitters. It harbors over 200 sport fishing boats, pleasure craft and commercial vessels. The Makah Cultural and Research Museum gallery houses 300-500 year old artifacts. The archive and library departments scans photographs to catalog them for research and the community. There is also a Makah language program offered. By the way this is the town where you stop to get your recreational permit before driving to Cape Flattery or Shi Shi Beach. 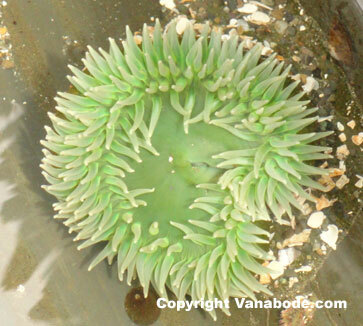 Shi Shi beach is just south of Cape Flattery. 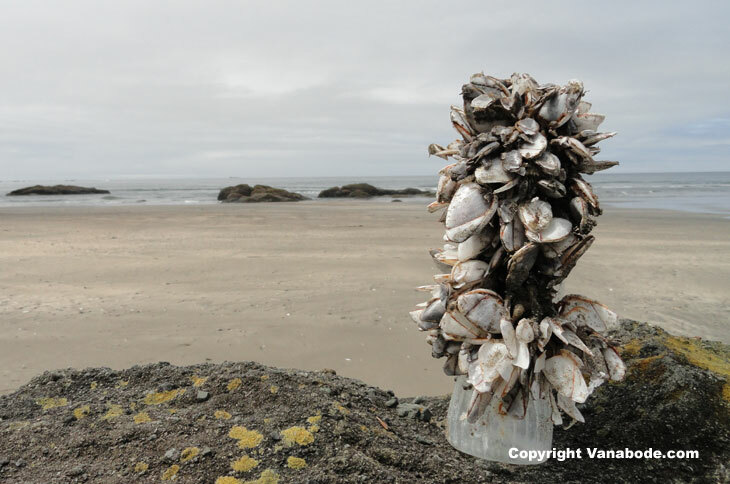 Shi Shi is a 2 mile uphill hike through mud and dark forest then uphill for ¼ mile then down to the some fantastic beaches and tidal pool exploring during low tides. The views are stunning. Make sure and pick up a tidal chart BEFORE you head in so you know when it is low tide. You do NOT want to do this during high tide or you will probably be disappointed as it will just be a typical nice Northwestern beach. Do not underestimate how arduous this hike is. Most of the people we passed going in and out were staying overnight and getting water from the natural streams running down from the mountains. After our hike we pulled into a private campground. We found private shower and bathroom combo rooms for campers. There is beach front parking for rvs only. They do not allow tents. They are making major changes by bringing in massive park model trailers to rent out as cabins. 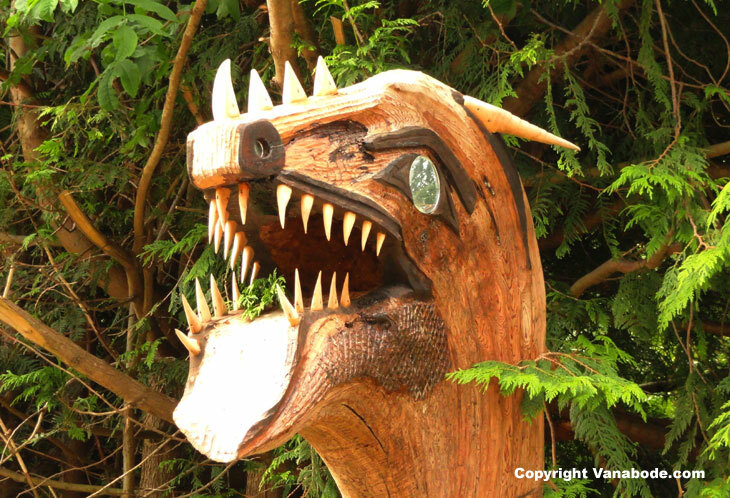 Above: This dragon-like sculpture can be seen on the road leading to Cape Flattery. 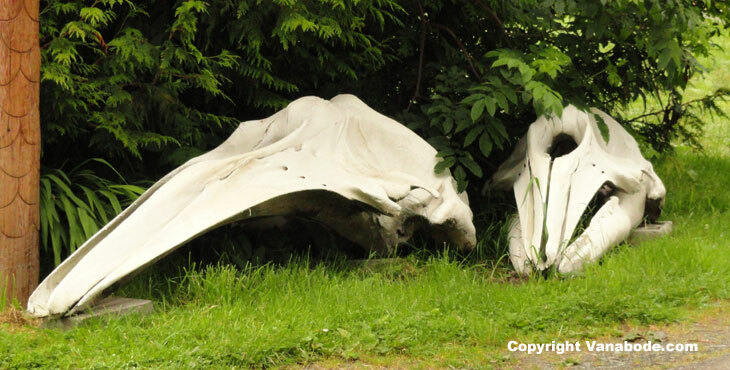 The whale skull is sitting at it's base. The dragon's eyes are mirrors and that is what caught our attention at first coming up to it. No signs seen but I would assume that this is the work of a local that lives on Makah tribe property. From the tip of the peninsula we drove all the way around to Rialto Beach to see Hole in the Wall rock formation. This beach is quite fun for both the kids and adults because of the driftwood. However, for us, we thoroughly enjoyed the trail hike and beach of Shi Shi instead. 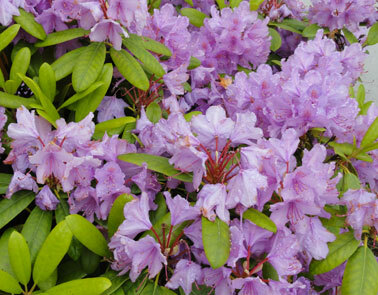 The towns up and down the scenic highway through Clallam Bay, Sekiu and Neah Bay definitely have a relaxed vibe. 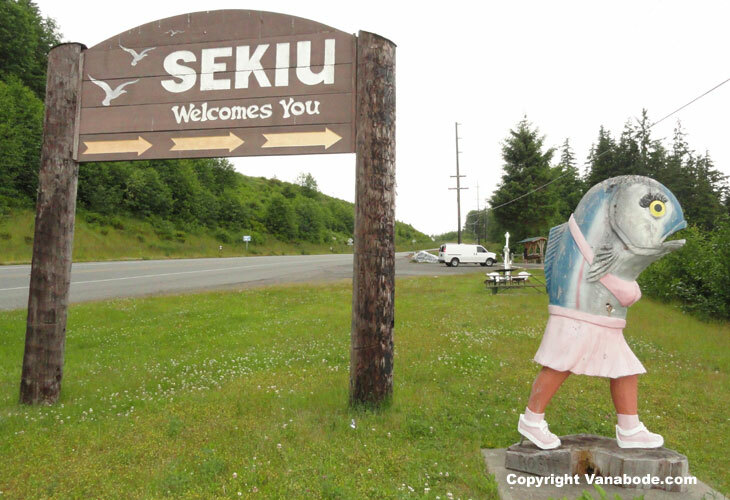 You won't be disappointed traveling and taking in the scenery of Sekiu Washington.